To test your display for backlight bleed (also referred to as just ‘light bleed’), play a full-screen video or open a picture that’s pitch-black. The light that you see around the edges of the screen or in the corners is backlight bleed. It shouldn’t be confused with IPS glow which is found on IPS panel displays and apparent when looking at the screen at certain angles. 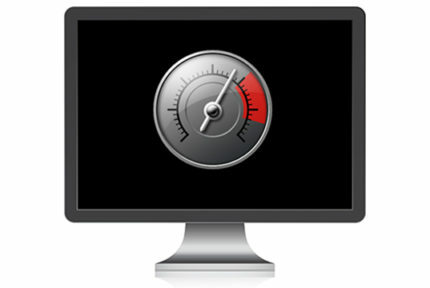 Many LED-backlit LCDs suffer from backlight bleeding. In most cases, it’s not noticeable unless you’re looking at a pitch-black screen in a dark room. In other cases, it can be quite severe in which case you should return the display for a refund/replacement. In order to test your display for backlight bleed, play the video below in full-screen. You should also dim the lights and set the brightness of your display to a reasonable level; in normal lighting conditions, that’s ~30-50% depending on your display’s maximum luminance. Just don’t leave it at 100%. If you see too much light bleed, you display may qualify as defective allowing you to return it. However, if you don’t notice any backlight bleeding in regular use of the monitor, but only in this test, you don’t need to worry or do anything. 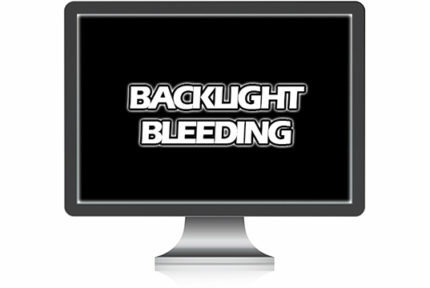 Here are some things you can do to reduce backlight bleeding. In case you have an IPS panel display, make sure you’re not confusing backlight bleeding with IPS glow. Unlike backlight bleed, visibility of IPS glow depends on the angle you’re looking at the screen. Learn more about IPS glow and how to reduce it. What Is Backlight Bleed And How Can You Fix It?